Malin + Goetz has launched Bergamot, a new unisex fragrance. Born in the beautiful Northern Italian sunshine, our Bergamot offers a lavish, citrusy, soft aroma.Conjuring the warmth and elegance of the Tuscan landscape, this timeless scent imparts a sophisticated, sundrenched serenity for both women and men. Bergamot has long been a signature scent in our most popular Body Care products; and thus it is long overdue as a fine fragrance. Hints of fresh green mint and glistening spices add intoxicating energy, while a drydown of woods and musk imparts an elegant, understated sensuality on the skin. 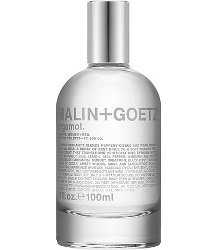 Malin + Goetz Bergamot is available now at Barneys, 100 ml Eau de Toilette, $150.